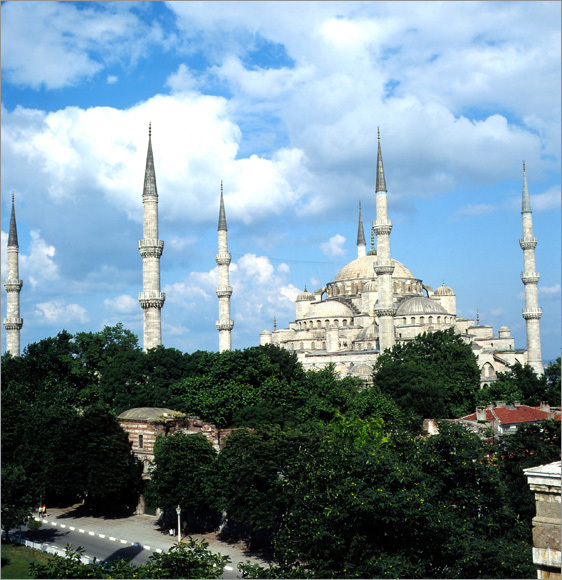 Turkish Architecture has an important place not only in Eastern and Islamic but, also in the world architecture history. 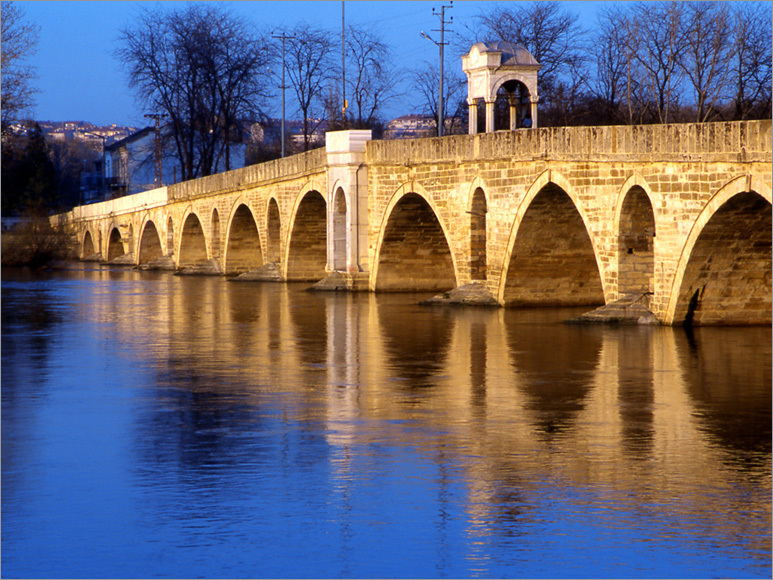 Research shows that development of Turkish architecture was also affected by political, administrative and economical factors and reached its peak in 16th century. It is known that during Anatolian Selcuklu, Beylikler and Early Ottoman periods, architects and artists related to architecture were traveling from one city to another and set up building sites where they found a job. Most of the time architects were coming to Damascus, Aleppo, Tbilisi, Tabriz, Hocent, Marent, Marrakech and Tunisia. There were also some local architects in Ahlat, Malatya and Konya. Architects from all religions and nations were working at construction sites of Selcuklu during 12th and 13th centuries. While building mosques, madrasahs and caravanserais these artists were making them in accordance with the current Turkish – Islamic culture and traditions but, they were also using the architectural models of their native lands. For this reason, the structures built during these periods also have Arabic as well as Christian motives. However, these were only apparent in decoration details and motives and not on the architectural elements of the structures. It is believed that during early Ottoman periods, craftsmen were mostly using the techniques left by Ahiler. Ahiler were both educating people in certain branches of craftsmanship and also controlling the correctness of standard measurements of products. Most architects gathered in these unions weren’t involved in big constructions but, they worked under supervision of architects of the Palace. Cite architects, builders and stonemasons were in this group. 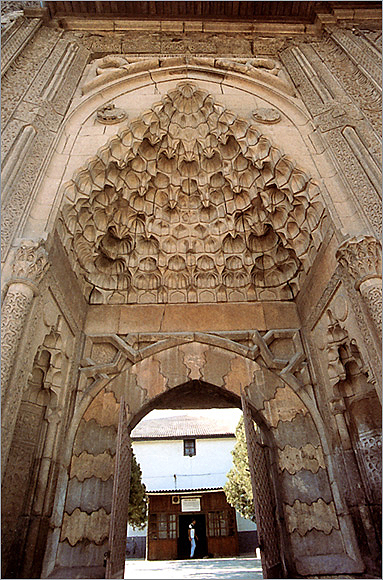 Construction crafts were generally called “esnafi-mimar”. The saying “an expert in architecture science” that is so frequently used in Ottoman records indicates the existence of skilled architect groups involved in construction of big structures in big cities. Groups that can be called city architects had to prevent unskilled architects or people from unrelated areas involved in architecture from lowering the city’s standard quality. Architects involved in big city construction projects were people tightly bound to the social structure and culture of the Ottoman society just like their colleagues. Even in private construction projects in Istanbul, architects and builders had to have a special “permission” of proficiency from the chief architects. Those who didn’t have a license were not allowed to work in constructions and it was the chief architect’s duty to prevent them from working in private construction places. Even those who were working in the lower levels of architecture in provinces were under supervision of members of guilds. Architects as a part of their responsibility had to know the “Ilmi-Hendese” (geometry) very well. They also had to be proficient in construction and land surveying. Because of their knowledge of geometry architects were sometimes referred as engineers. 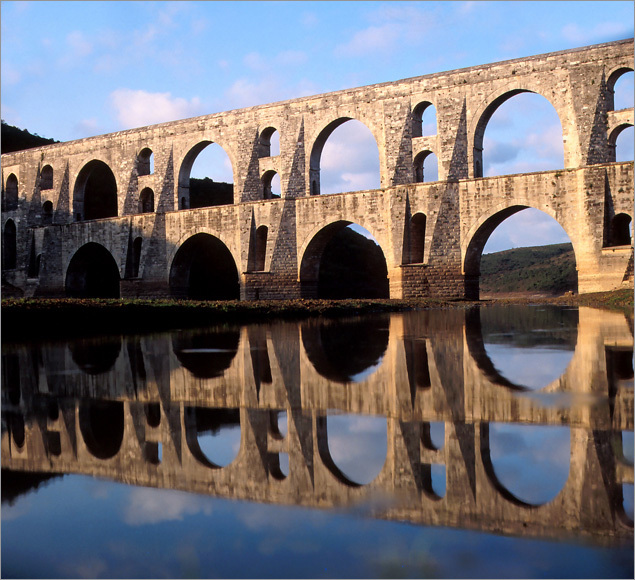 During Early Ottoman Periods architects first had to draw a plan of the structure called “picture“. In architectural terminology, words like “picture” or “description” were used instead of definitions like “sketch” or “diagram”. In the schema, the unit of length was “arsin” (Turkish yard) or “zira-i mimari” (approximately 757,738 mm). 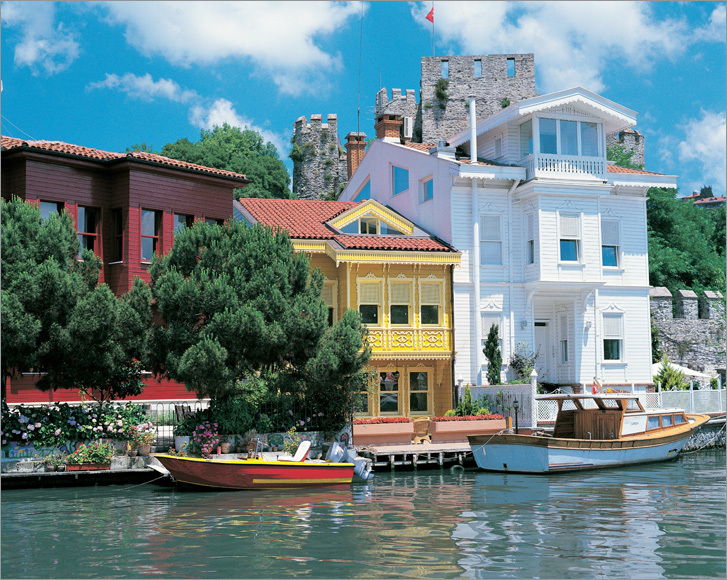 The development of Turkish architecture has gained a new momentum after the conquests. It became apparent that the mobile groups of architects and artists involved in architecture during Selcuklu, Beylikler and Early Ottoman Periods are not going to be sufficient on the new lands where sultanates have become states and the states evolved into Empire. In order to meet the Empire’s needs a more comprehensive and organized institutions were required. For this purpose, first, “Hassa Mimarlar Ocagi” (Hassa School of Architects) was opened in the capital. Then sub-organizations were opened in provinces. New activities of Hassa School of Architects started after 1453 and joined with the growing wealth of the empire lead to the first steps of “Classic Ottoman Architecture Period” in the beginning of the 16th century. The records of Hassa School of Architects belonging to 16th century were found in the documents analyzed up to now. 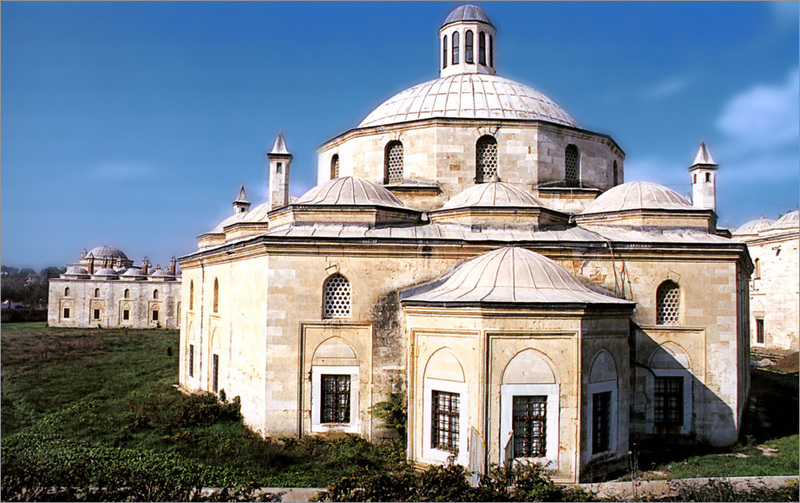 We know from the records that education center was in”Sepetciler Summer Palace” inside the Topkapi Palace. It is known that the organization (with the local organizations under its supervision) performed development and construction of public facilities both in Istanbul and other cities. Their primary functions were to make the schemes of all public structures, estimate the associated expenses, conduct construction activities and make restorations. Building and repair of military structures, construction and repair of military alleys, building bridges and army residences was their responsibility. Hassa Architects were responsible from drawing schemes and calculating the cost of materials needed for construction of all buildings being made by Sultan and the State as well as those built by private individuals. The schemes of houses, shops and commercial buildings were prepared and corrected after which permission was granted to start the construction. Also the abilities of plasterers, bricklayers and carpenters that were going to be involved in construction were checked. 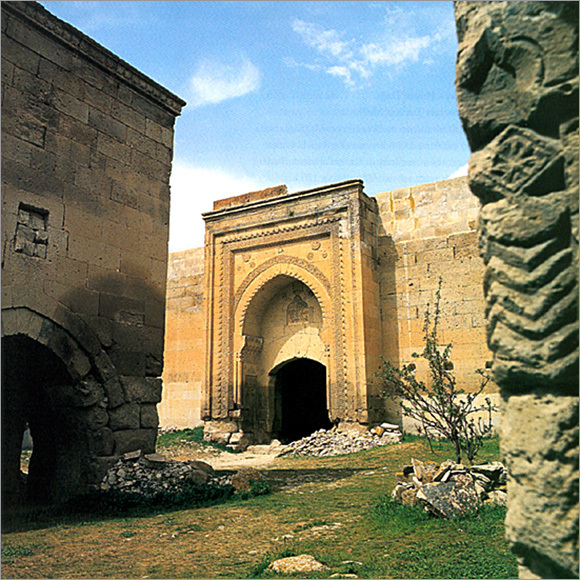 Architects of Hassa were also responsible from construction and repair of all sultan’s foundations and related facilities. Before starting the construction of foundation buildings, Department in control of estates always consulted Hassa Architects about the estimated cost projects. Architects frequently controlled all construction materials coming to the city and shops selling those materials (brickyards, ceramics shops, marble and stone processing facilities) in order to protect the standard quality level. Their another duty was the timely supply of hardware like wood and they even went to forests for this purpose. Hassa Architects Organization that was under supervision of Birun (Fieldworks) was divided into subdivisions. 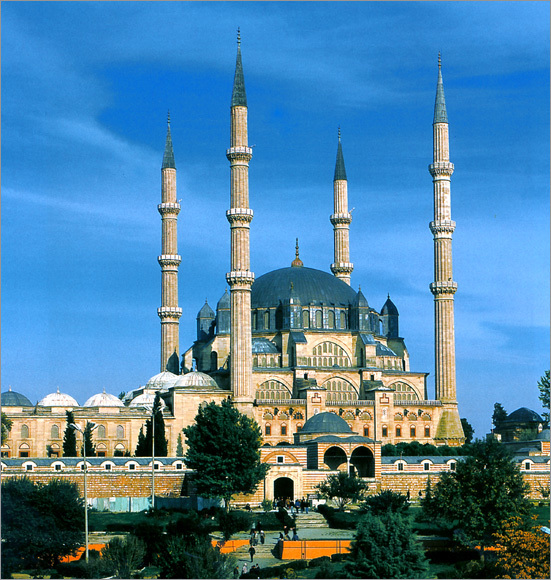 In 1538 Mimar Sinan became the head of this organization and the activities of the organization extended the capital to the smallest districts of the Empire. According to the documents examined up to now, development and construction of public facilities and public works in the Ottoman Empire were organized and supervised by six architecture organization that were somehow connected to the main organization. Turkish Architecture is a fine and pure art. It is not only about dome and arches but, also architectural mentality. Simplicity, dignity, contentment, clearness and clarity, consistency both in the inside and outside, entirety and congruency with position and function and everything else can be found in this architecture. 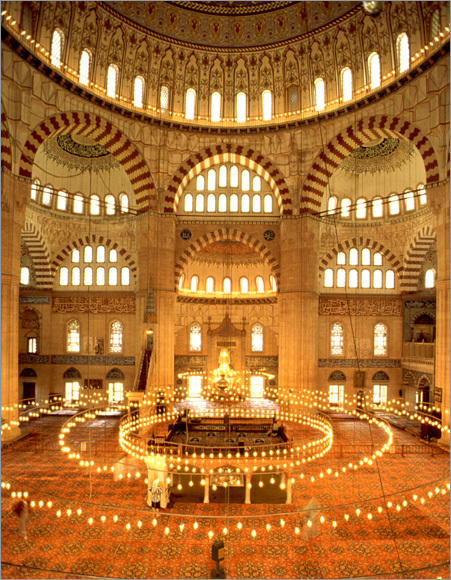 Ottoman architecture also differs from other Islamic architectures. Turks were always able to put display their difference in all branches of art from other Muslim or non-Muslim societies. This difference is well pronounced also in music, calligraphy, gilding, book binding, carpeting and handwork. Ottoman artworks are simple and relaxing. Others give more importance to decoration and complex motives and plastering works.